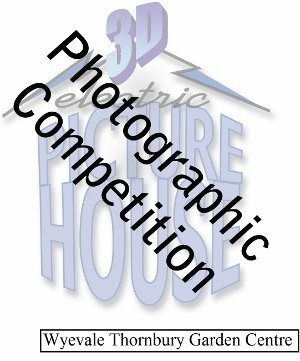 The Electric Picture House in Wotton-under-Edge has announced its second photographic competition in a bid to obtain another twelve stunning pictures for its next calendar. Until last year pictures for previous calendars had been supplied by a handful of very keen supporters of the cinema. But last year the task of supplying suitable and photogenic shots of Wotton was opened up to local enthusiasts in the form of a photographic competition which proved to be so successful that the decision has been made to repeat it again this year. The organiser of the competition is Trevor Mason who is Chairman of the Electric Cinema Company – the charitable wing of the Electric Picture House and which is affiliated to the Wotton Recreational Trust. He said: “The competition for the 2012 calendar provided such a wide variety of wonderful pictures that we have decided to repeat the exercise for our next one. He added: “This year, in recognition of the wide area from which our audiences come, we are expanding the radius within which pictures can be taken to about 10 miles out of Wotton. The plan is to exhibit the best 100 pictures in July from which twelve will be selected for use in the calendar. The best overall picture will win goods to the value of £100 kindly supplied by the Wyevale Thornbury Garden Centre. Further details of the rules, how to submit pictures and when and where the judging will take place can be found on the cinema’s website, www.wottoneph.co.uk.